This is a question the church is asking. What are the basic theological elements required to communicate a complete gospel? What is a proper order to explain the gospel to someone? If an element is missing in your explanation, does a is the work of conversion incomplete? Rather, Lorttis looks at the implications of living a gospel centered life. What areas of our life does the gospel touch? What are the implications of the gospel upon our personal growth, church growth, and community service? He explores what the gospel means for issues of race relations, political engagement, and class distinctions. A Cross-Shaped Gospel is a great look at how to biblically live out the whole gospel on earth by following the greatest heavenly commandments of loving God, and loving your neighbor. 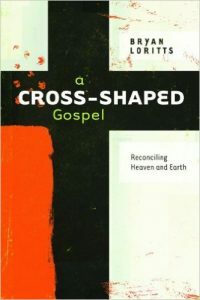 The book uses the imagery of the cross beams take a hard look at the horizontal and vertical implications of living out a gospel centered life. Every church involved in its community needs to wrestle with this question. Do we simply “help” or do we actually partner? Do we patronize by accident by our attempts at compassion? Are we spinning our wheels accomplishing little, or making a deep impact of transformation? I was recruited to participate by a friend. Local community members were not allowed to participate, and the wealthy group painted it’s logo on the wall as a display of their “pride” in service to the local community. The gospel was not demonstrated. The wealthy group is missing this transformative aspect of the gospel that Lottis highlights. They have been untouched by the gospel. If we are living out the gospel, we will do our community service differently. The gospel impacts how we see people. The planned release date is October 1. The publisher provided me an advance copy for review. Definition of Evangelism: What is the Gospel?